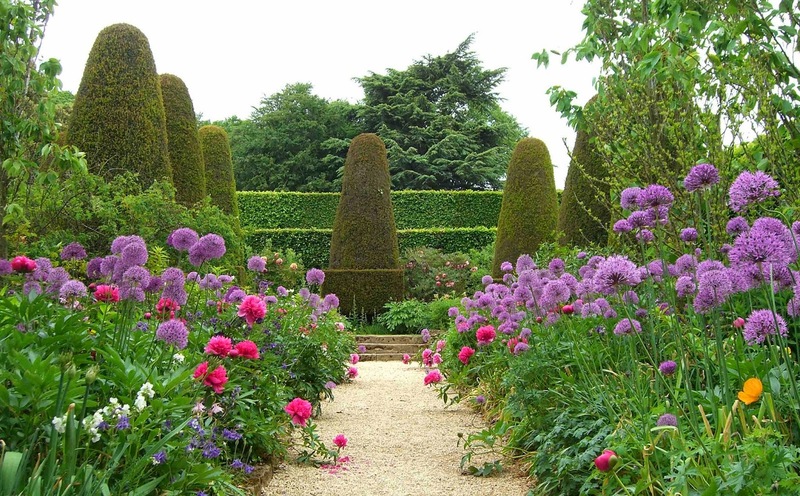 We have Lawrence Johnston to thank for Hidcote Manor Garden in the English Cotswolds. Every visitor probably favors a different section depending on the weather and the time of year. Hidcote was designed as a series of "garden rooms." For sheer drama, the Pillar Garden in mid-May gets my vote. Stepping from a smooth green lawn, through an arch in a hedge, one enters a Candyland fantasy of raspberry peonies, lollipop-stemmed alliums and gumdrop topiaries. I remember being almost dumbstruck by the colors and shapes and wondering if this could possibly be real. It was and it is. We can thank Lawrence Johnston and the British National Trust for its continuing existence.